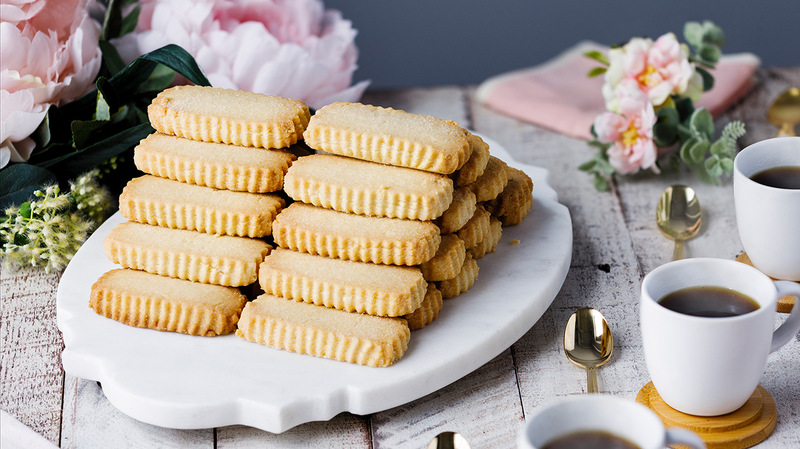 These tasty shortbread cookies are a nice twist on the classic. Adding a splash of our Natural Peaches & Cream Extract just screams Spring. 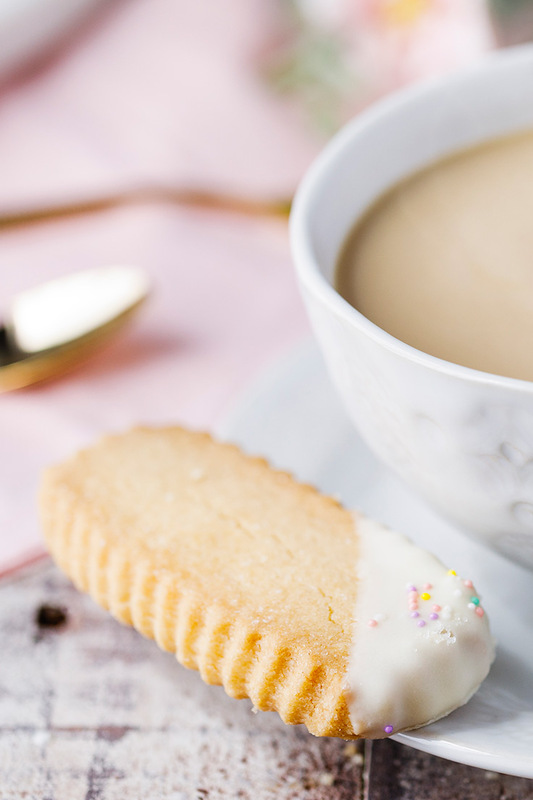 These are a wonderful addition to morning coffee, tea, or an afternoon snack. Use you favorite cookie cutter cutter shapes, we like a simple square to let the decoration (and flavor!) shine and crinkly rectangles for dipping. Cream and butter and sugar. Add Madagascar Bourbon Vanilla and Natural Peaches & Cream Type Extract and mix to combine. Add the sifted flour and salt. Mix until the dough comes together. Wrap and chill the dough for 30 minutes. Meanwhile, preheat the oven to 350℉. Roll out the dough to ½” thick. If you have a 3” x 1” shortbread cutter, use that. If not, any shape cookie cutter or a knife will work to cut out the cookies. Place them on a parchment-lined sheet pan and chill for 15 minutes before baking. Bake for 20 minutes or until the edges just begin to brown. 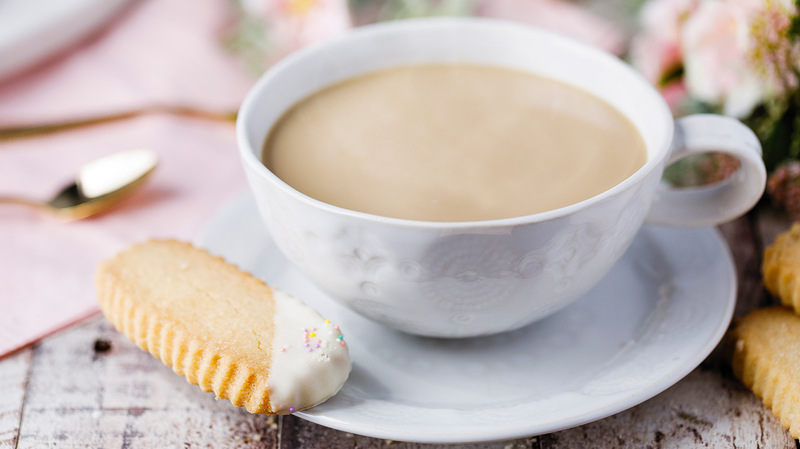 Once cooled, dip one edge of each cookie into melted white chocolate and dust with sprinkles. Place dipped cookies on a parchment-lined sheet pan to set before serving.